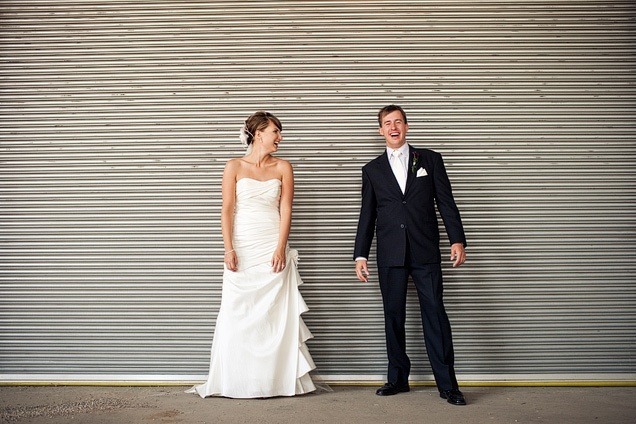 So last time we looked at the 10 best things about being a wedding photographer, and they were certainly very rad. It’s an amazing day to get to photograph, and being invited into such an important part of your clients’ lives is a great honor! But, like any profession, there are pros and cons involved. It’s a difficult job, and not everyone is cut out for it. Do you want to build & grow a successful wedding photography business? Pricing, getting started, getting better-paying clients, branding, protection and more! Today we’re going to reveal our 10 most difficult things about being a wedding photographer, so let’s get right down to it! When you try to become a wedding photographer, you’ll find yourself faced with a bit of a conundrum. You need experience shooting weddings to get hired, but you can’t get experience until you get hired. 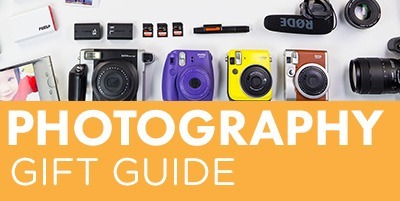 This is incredibly challenging, and tough for any photographer to get around. Some will do second shooting for an established photographer to get that experience, and others will luck out with a friend or family member willing to take a chance on them. Either way, it takes hard work and perseverance to get that much needed experience under your belt. And not only is it tough just to get a job, but it’s an incredible investment of money to get all the gear needed to do that wedding justice. These events require multiple lenses, flashes, backup gear, and oodles of batteries and memory cards, not to mention enough hard drives to back up the images properly! That’s a lot of cash to fork out before you’ve even really got the business running. Now, you can rent gear to make those first few weddings a little less costly, but if you’re serious about getting into the business, you’ll eventually have to make a serious investment. This one could pretty much be numbers 2 – 5, because there are so many aspects of the business of wedding photography that can be really difficult. First off is just figuring out how to get it up and running. Then, as the owner, you quickly realize that you are responsible for all the working parts of your company. and pretty much any other title you can think of. It’s you. That’s not only a lot of responsibility, but a lot of learning that has to go on to figure out how to make it all run smoothly! Oh pricing — one of the most challenging and scary parts of being any sort of photographer. Are you doing it right? Getting paid what you’re really worth? Are you choosing prices that are going to make your business fail? It can get easier, and luckily there are resources out there to try and help you sort it out, but it’s still scary and overwhelming, and the cause of many ulcers. Once you realize just how many pieces go into running a business, it’s no surprise that wedding photography is a LOT of work. 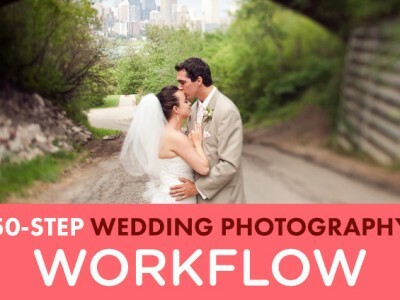 If you don’t believe me, check out our 50 step wedding photography workflow. Then add on all the actual business stuff, like marketing, branding, paperwork, pricing, bookkeeping, and you’ll start to see why wedding photographers don’t get a ton of sleep. There’s a dangerous myth that floats around suggesting that they only have to work one day of the week and they make tons of cash. But actually they generally work a normal 5 day week, have meetings and engagement shoots in the evenings, and then shoot weddings on Saturdays. Yeah, mega amounts of work. With all that work comes the challenge of balance. Weddings can very easily take over your whole life. Finding time to just be a person, and not a wedding photographer, is really tough. Your relationships with friends and family also tend to suffer, since you’re usually not free on Fridays or Saturdays during wedding season. It can be isolating, and downright exhausting to be so consumed by one thing. Burnout isn’t far behind. Without balance, it’s easy to lose the passion and love for the job that is necessary to produce high quality work. In almost all parts of the world weddings are seasonal. It either becomes too cold in the winter, or too hot in the summer, so during those months you’ll find yourself with hardly any work. No surprise that that makes it difficult to pay the bills! You can either try to make enough in the wedding season to get yourself through the rest of the year, or find ways to keep bringing in money when the weddings stop. It’s a big challenge. Straight up, no sugar coating, it is difficult to make a good living as a wedding photographer. 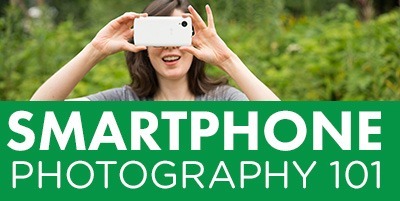 You need to be great at photography and great at business. You need to adapt to an ever-changing marketplace, and figure out how to stand out from the crowd. You need to solve the problem of seasonality, and set prices smartly to turn a profit. You need to keep your costs low, but your customer experience world class. It’s easy enough to make money at wedding photography; there’s always someone willing to pay $1,000 for the shoot and files. But making a good living is an entirely different story. Weddings don’t come with do-overs or reshoots. You get only one chance to capture the walk down the aisle, the first kiss, or the bouquet toss. You not only need to be technically skilled enough to be sure you can nail those critical shots, but you also need to be able to handle that kind of pressure, and still think creatively! This certainly gets easier the more you shoot, along with lots of preparation, but you should never lose that understanding that you’re shooting a once-in-a-lifetime event. Weddings are usually at least 8 hours of shooting, commonly jump up to 14, and can get crazy at 21 hours (which was our longest day ever). That time requires pretty much continual mental and physical effort, as you are following the bride and groom around, documenting their experiences. Scarfing granola bars and chugging energy drinks helps you get through the day, but then there is the much discussed “wedding hangover” afterwards. Sunday is necessary for just recovering! The long hours also do a number on your back and shoulders from carrying so much gear around, and if you aren’t careful you can easily get dehydrated. You get to handle all of this while having to remain positive and cheery at every moment! 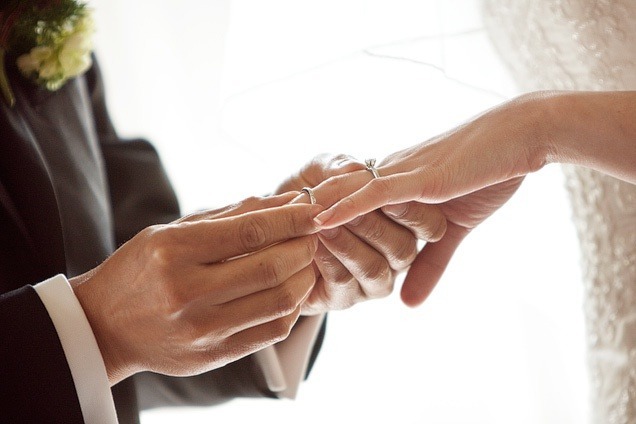 Your close proximity to the bride and groom during the whole day brings you into contact with all the important people (bridal party, parents, planners, officiants, etc.). Many of these are folks you actually have to take photos of, so you also have to direct them as well. Many of them have a vested interest in both how the day goes, and how the photos turn out. So you get the challenge of pleasing them all! It’s definitely possible, but requires a lot of effort, understanding, flexibility and most of all, patience. The bonus is that the better you can do this, the more likely you are to get referrals from a wide range of people, not just the bride and groom! We’ve already listed nine difficult things, and haven’t even really touched on actually shooting a wedding! While it’s a very diverse event, and requires a lot of different photographic skills, what can be most challenging of all is finding your own unique style. The wedding industry can seem to become obsessed with a different trend every year, and half the photographers and three quarters of the blogs follow suit. Brides are influenced by all these sources, and look to get that trend for their own images. It seems easier to just jump on board and ride the trend to success rather than pave your own way. But trends are fickle creatures, and in another year it will be something totally different. My prediction is that vintage gives way to ninjas. You heard it here first. Jokes aside, basing your style on a trend is dangerous. Once the winds change, you’re old news. But you want your work to have a unique style, to make it cohesive and appealing to the right kind of bride. And therein lies the challenge, because accomplishing this isn’t really something that you’re ever done with. Your style will evolve as you evolve as an artist. The key to making it unique is to ignore what all the other shooters are doing, and pay attention to your own personal voice. Look for inspiration anywhere other than the wedding industry. Check out what’s happening in the graphic design world, or visit museums on a regular basis. The more diverse you make your inputs, the more unique your style will become, the more you’ll stand out, and the easier it will be to rise above and outlast the trends! Now, I know that reading all those difficult parts of being a wedding photographer can be scary. I don’t want to sugar coat the experience—it’s tough. But there are a ton of wonderful things about the job as well. The most important thing to take away from this discussion is that you need to enter the industry with a realistic expectation of what it will take to be successful. If you’re deeply passionate about the images you can create for your clients, you’ll have the energy and dedication required to make a solid business out of it. After all, being a wedding photographer means you get to eat lots and lots of tasty cake, and that’s the sign of a really magical job! 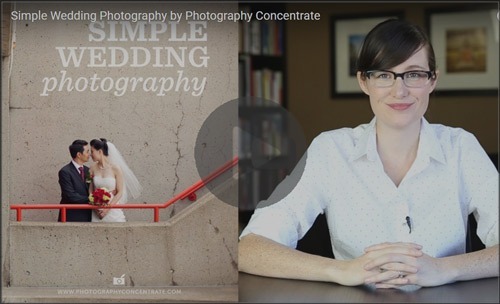 Do you want to become a successful wedding photographer? Did we miss something in our top 10? What do you find most difficult about being a wedding photographer? Share with us in the comments now! I agree with your thoughts. Wedding photography is not just about talent in photography but it also about being business savvy. All true, so very true. I would have to say that #7 is my reason for 'retiring' from weddings a few years ago. I'm considering returning in 2013 now that I've transitioned to digital. Some soul-searching is in my future I'd say! Thank you for this post and the previous one as well. It is great to have both the positive aspects and the challenges surrounding weddings to ponder. #2 is my achilles heel for sure. Pricing to be exact! Great list! This might be a little controversial, but I think the most difficult thing about being a wedding photographer is having a shelf life. And not due to trends or styles, but more due to ageism. Simply put, if all else is equal, a bride will prefer to book someone who is closer to their age. They want someone to relate to. I'm sure there are lots of professional photographers who shoot weddings well in to their 50's and 60's, but I would bet if you plotted out the number of photographers versus their age, you would find a strong drop off after about 35-40. Which also happens to be around when a photographers kids (if they have them) get to the age when sports and activities require more commitment from their parents. Stasha, pricing is NOT hard. If you ever need help just email me. I will tell you first I am a business person and photographer second. Hi Eric! I’m just starting out and I could really do with a sort of pricing guide because I really have no idea! Any chance you could give an idea of where I should start?? #8 is so true. It can be exhausting! After wedding season last year I seriously considered quitting wedding and focusing on family photography. But after an engagment shoot, I remembered why I love weddings so much. And as tired as I am after a LONG day of shooting, I can't help but feel so honored to be let into this couple's special day. *@Evan:* Great point, I imagine you're right that the age drops off a lot. The recent shift of the industry to something "cool" probably has a lot to do with it! *@Eric:* I'm sure there are older photographers who do still shoot weddings, as Evan mentioned, but I suspect that the average age is much closer to 35 or so. I'd be really interested to see some statistics on the topic! *@Cynthi:* You're totally right, the end of the wedding season is super tough, it's always nice to have some time to recover! 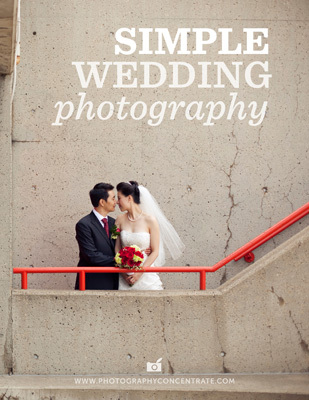 Helps you rediscover what makes weddings so awesome! I agree with the points. If you ever do ethnic weddings (East Indian/Middle Eastern/African), double or triple the hours (including horendous starting times). Also, half the pay after they've bargained you to death! I'm 61 years old. I have personally photographed 45 to 70 weddings each year for the last 28 years. My studio does 140 to 200 weddings each year. I have worked very long hours and made a lot of income. I don't mind the hard work and long hours (my feet hurt a LOT more at 61 than they did at 41!) as long as I am getting pay that is sufficient to the task. I think it's true that no-one will quit a vocation that gives them enough pay. The pay is satisfaction, joy, creativity, plain fun, and absolutely…… money. All of the above isn't enough if you don't have the business savvy to earn a good paycheck. First, I am a lover of life. Second, I am absolutely a capitalist. I employ many others and make a good living myself as well. An established reputation in your town will carry you past 50 years of age. If, by 50, you aren't well-known and aren't at the top of your industry by reputation, yes, your bookings will drop WAY off. My studio has done about 4000 weddings in the last 28 years. There are a LOT of people in my environment referring business in my direction. I'm good for another few years. I do not HAVE to do this, I have the money to no longer work, but I love to do this so I will continue as long as I continue to have fun. It is a huge privilege to make a good living as an artist. I'm very proud of myself because of the success that I created for myself and my family. I think that you hit it right on the head about it being sooo much more work than most perceive it to be. It is not uncommon to be dealing with things from a wedding for months after the actual wedding is over (print order, albums, etc). I have really come to embrace the grind, and still feel it beats punching the clock any day. Thanks for the great writing!! #7 is exactly why I am a very happy second shooter. Great article! I’m a 37-year-old Court Reporting student (2nd year) and I’m rethinking my future career. Wedding photography was my first choice of career when i decided to go back school after a layoff. I feel in my heart that should have been the path to take, so before I make that leap, I was hoping you could answer a few questions to help me Make my final decision. Is it best to get an A.A. in photography or is a certificate enough? How long would you say it would take me to get my business started? I consider myself business savvy after having owned a few small businesses, but I’ve never considered myself artistic. Lauren, I love how you have laid things out – no sugar coating, no mellowing down things – just the way it is for wedding photography business. Totally agree, it’s almost impossible to get your daily bread (all year around) on just doing weddings. I must say, now that I have begun the photo business ascension and left my fulltime job to be a fulltime photographer, I am a bit taken back by the amount of work I spend “running the business.” Every time I turn around there is another process to optimize or a better way of doing something to help “save time” and therefore make more money. This article and it’s comments are refreshing. I am not alone. Despite this list, it’s still better than the corporate grind, because no matter how stressed I get, I can always relish in the fact that the business is all mine. I find the most challenging shoots are the big groups, because often people get side tracked, hard to coordinate 100 people. The romantic shoot with the couple I personally thoroughly enjoy. Overall the biggest challenge is the over-demanding bride-zilla… here is where we have to set up proper contracts and manage the process. There are many good points in the articles, but the usually so positive Lauren had a bit of a whinge and a whine, it appears. It may be a myth that wedding photographers work one day a week. Obviously you have to find the client, shoot the wedding, do the editing and do your paperwork. You should allow 30 hours per wedding. Just let’s say you shoot 30 weddings for $4000 a year. That’s a $120,000 revenue for 900 hours work. (A full-time job involves about 1800 hours of work in a year.) During “wedding season”, yes, it will be very busy. But over the year, you will have heaps of time to do your own projects – or read books – or do even more paid work. Being a successful wedding photographer is a great lifestyle, there is no doubt. Compare that with the girl who restocks shelves at Woolworth’s for minimum wage. Of course shooting 21 hours is tough – but why did you let it come to that? Shooting 21 hours could not come as a surprise, without warning. You could have two photographers or even two teams, taking turns. Don’t you work out an itinerary with the client before the day? And can you shoot for 21 hours? Most of that time is probably the guests celebrating? I could totally relate to the troubles that have been mentioned in this post, for me the most important thing is if you are not able to communicate with bride and the groom then the out come would not be that great, I am myself a professional wedding photographer , my site – http://www.bottlein.com/ . Great post !! Nicely written article that hits on a lot of the issues of being a Wedding Photographer. I did notice the one thing missing was people skills. You can be the greatest photographer ever but if you can’t manage people or make them like you, you’re not going very far in Weddings. As for the age? Chris disproved that. Sure, some of the hipster crowd will want someone close to their age, but I really think that’s a style choice rather than an age choice. I’m 45 and no one cares that I’m 20 years older than my average client. In fact, if they find out, they’re surprised I’m not younger. I LOVE this list. The downside is even if you have the experience shooting with another photographer, they have to let you use your photos you shot for there company to expand your own business. Unfortunately I have been working for a company for 6 years and when I said I wanted to branch out on my own they were clear they didn’t want me to use anything I have shot for promotional purposes. Love this article!! I’m just starting out in the wedding photography business and one thing I do struggle with is the packaging, contracts and basically all the bits they get before and after. Knowing where to start when trying to write a contract or how formal to make your first meetings, typing up thank you emails presenting your work before hand giving them a ‘package’ that shows what your business is about, I struggle on knowing where to start? Do you have or does anyone know of a template or post or e-book that details these things and different ways to start them up? A great article and good read. Thanks for sharing! I am thinking about studying photography at Santa Monica College this fall. I have attended numerous weddings of family and friends, camera in hand. I like to photograph the festivities in motion. I guess I created a style without even knowing it. All of my bride and grooms tell me my pictures were better than the photographer they hired. I usually present the photos as a wedding gift. Time to get paid. Wish me luck…. Thanks for the Real & good information. Thank you so incredibly much for being here! Wow! Thank you so much for all of your kind words! We really appreciate it! Yeah i totally agree to it and this has been a amazing blog and it has lots of photograph related stuffs which I would love to read anytime. People must know the challenges that the wedding photographers will face during their marriage ceremony only then they will know the value of a expert wedding photographer. Absolutely, this is so true. Thank you for your kind words! I totally agree with these! 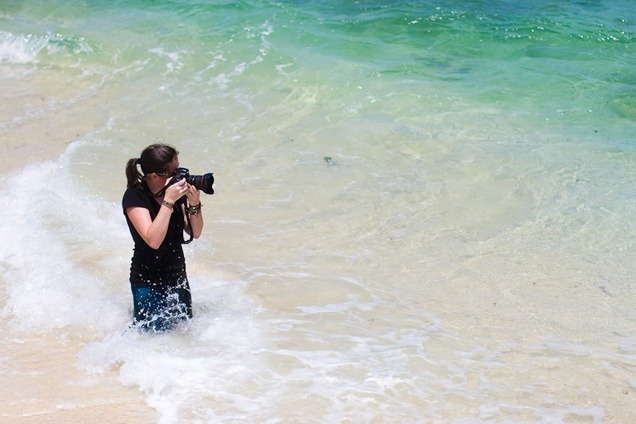 It’s so much harder and more difficult – photography is so intense and tough! But So rewarding! Yes! It is so rewarding! This is a good read to a photographer to check as well as their uniqueness in taking some shots of the couple at the wedding and they can make a trademark as well. Thank you so much for being here and for your kind words, Betty! Wedding photography is not just a cup of tea. It is very big responsibility of photographers to make customer’s wedding day very special with unique way. So be aware with all these things to become wedding photographers. Absolutely! We couldn’t agree more!